We specialize in creating great looking, effective websites that get found, stand out, and get you business. A great website gets found, is memorable, and converts your traffic into customers. Our award-winning Tucson web design team will work with you to create the perfect web site solution to reach the right audience and turn them into paying, happy customers. In the over 10 years we’ve been in business, our Tucson web designers have built hundreds of web sites for our local clients. 6 or more design choices! These are our most commonly requested features but is certainly not a complete list of what we can include, so contact us if you have a special request. How long will my new website take? We’ve been known to launch a standard website in as little as 2 weeks. We take the time to listen to your needs so we get it right. A more detailed timeline will be given during the planning stage. 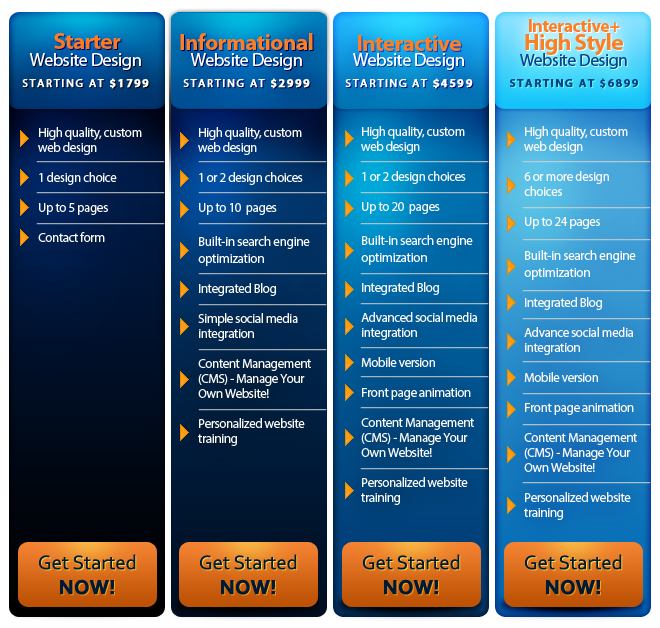 Ready to get started with a local Tucson web design team? We’re ready too! Give us a call at 520-664-2324 or contact us online for a fast response.